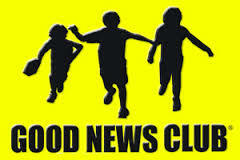 Good News Club is a ministry of Child Evangelism Fellowship in which trained teachers meet with groups of children in schools, homes, community centers, churches, apartment complexes, just about anywhere the children can easily and safely meet with their parent’s permission. Each week the teacher presents an exciting Bible lesson using colorful materials from CEF Press. This action-packed time also includes songs, Scripture memory, and review games or other activities focused on the lesson’s theme. The Good News Club at Homosassa Elementary School meets on Tuesday afternoons after school from 3:30 - 5:00 pm, during the school calendar year.